Preview is a built-in Mac application that has many features that doesn’t get a lot of press. One of them is the ability to place a caption inside the body of the image. Another is to mark up images to remove confidential information. 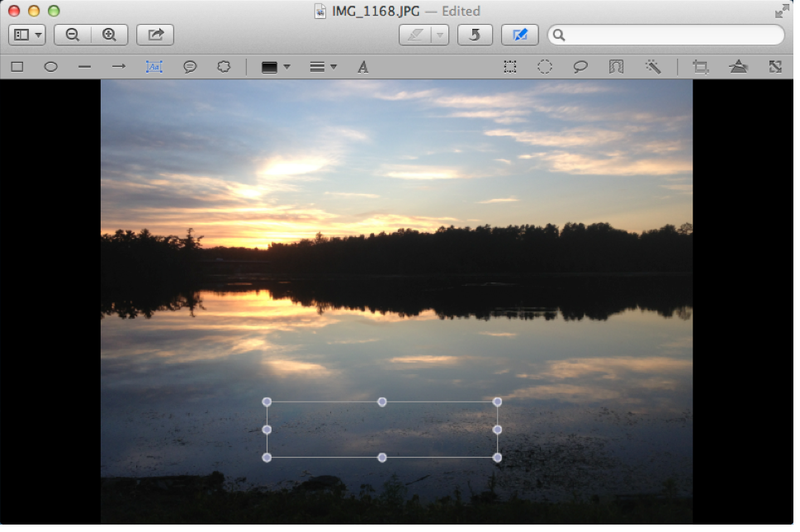 If you double click on an image outside of a photo editor like iPhoto or Aperture, it opens in Preview and can be edited. To start this process, get an image onto your desktop. 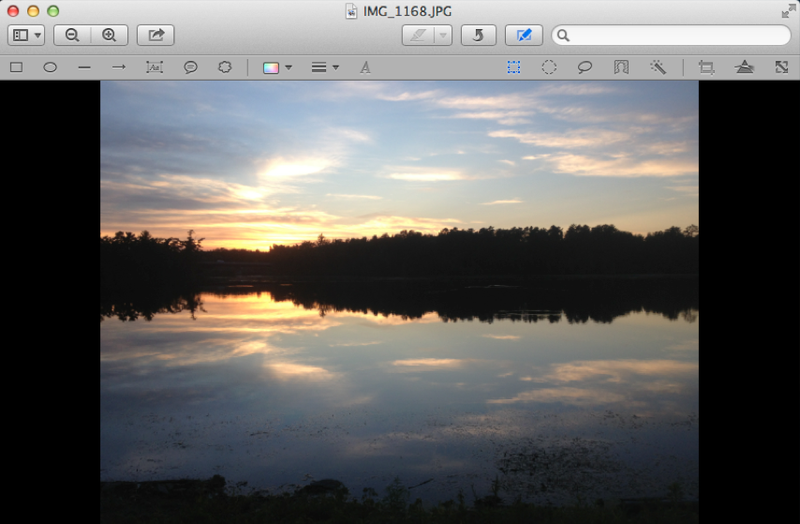 If necessary, drag it out of iPhoto to the desktop, for example. Then, double click on the image, it will open in Preview. Click the Annotate button, a pen icon at the top. Click on the Text Box tool, the “Aa” icon, then drag across an area of the screen to create a text box. Type your caption in the text box. Open the Fonts tool by choosing Show Fonts from the Tools menu, or press Command & T on your keyboard. Click on the Text Color button, circled below, to choose a color for the caption. Choose a size on the right, and a style from the “Family” column. The caption below uses Apple Chancery which, despite the list being is alphabetical order, is at the bottom. In the screen shot below, I circled the Google app using Preview and used the Oval tool at the top left. Then, I adjusted the color of the border using the top half of the Color pop-up menu. Then I changed the bottom half to No Fill, to make the circle transparent. 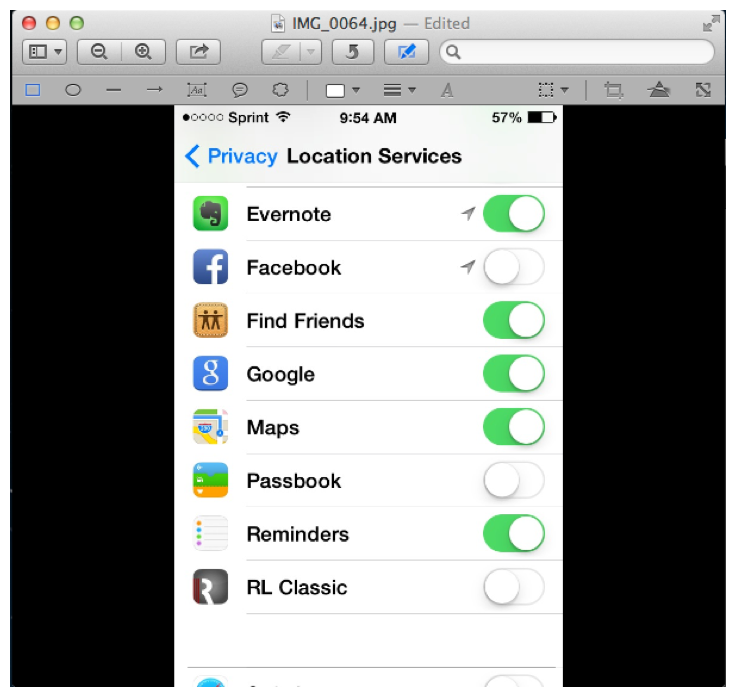 To block out confidential information, use the Rectangle tool on the far left. Drag the rectangle around the object, in this case the RS Official app at the bottom of the list. 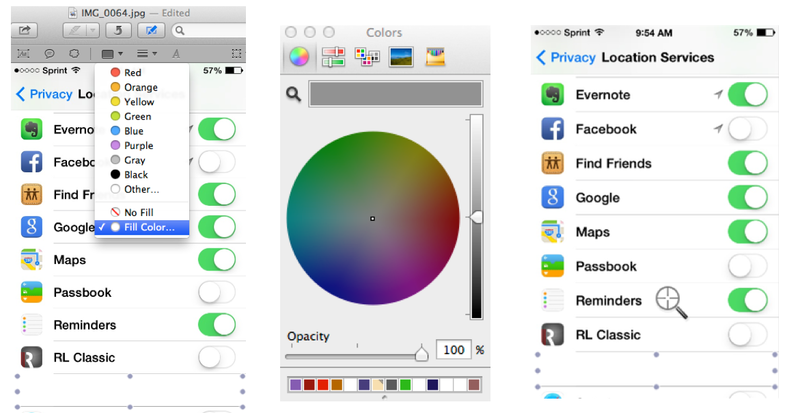 Click on the Color pop-up menu and choose Fill Color at the bottom. Click the magnifying glass near the top left of the color tool and then click on an area of the image that is the same color that will be used to cover the information. Repeat this process using the upper half of the Color pop-up menu to make the border of the rectangle the same color. Notice how the RS Official app is effectively hidden using the same colors as the surrounding screen. That’s all there is to using Preview’s markup tools to quickly and easily add captions to your images or remove personal information. There are more complex ways to edit your images in Preview which you can discover by clicking the different buttons around the markup panel. If you make a mistake or discover a feature you don’t like, you can always hit Command-Z to undo the changes. So go ahead and experiement with your images!